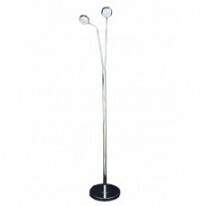 reading lights Most floor lamps are not suited for reading with, which is why we have created a full range of reading lamps for you. The floor reading light range is as it says on the tin, built and suitable for reading. There are many clear reasons on why they are a perfect solution for reading but the main points are, they are adjustable, they are made for close range, they are not over heated, they are easy on the eyes, they are easy to switch on and off with convenient switches, they are LED, they take up less space, they are easy to transport and they don't need lamp shades.